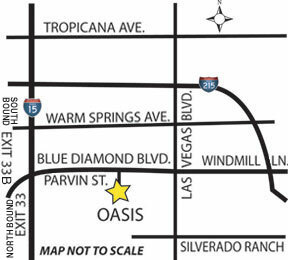 The Oasis Las Vegas RV Resort is conveniently located just south of the Las Vegas Strip. 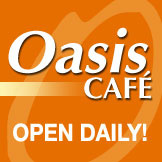 Heading Northbound on I-15, take exit 33. Turn right. Make your first right, which is the entrance to the Resort. Heading Southbound on I-15, take exit 33. Turn left, over the bridge. 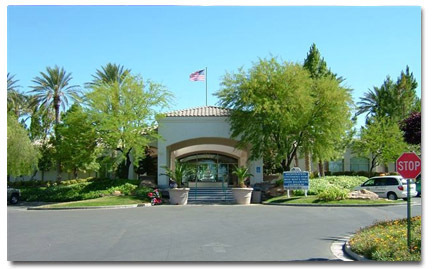 Make your first right, which is the entrance to the Resort. Turn right on Las Vegas Blvd. 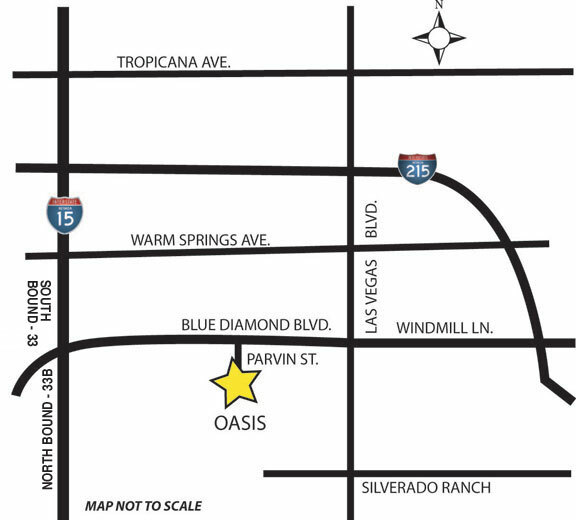 Go South approximately 2 miles to Silvrado Ranch Blvd. Make a right and enter the freeway on your left hand side. Turn left on Las Vegas Blvd. Go North approximately 2 miles to Russell. Turn left on the ramp.